Adam Zamoyski is a British historian and author, descended from the ancient Polish Zamoyski noble family. Born in New York City in 1949, Adam Stefan Zamoyski was brought up in England, first attending St Philip’s Preparatory School in London’s South Kensington (1957-1962), then completing his secondary education at the Benedictine Downside School (1962-1966) and graduating from The Queen's College, Oxford, where he read History and Modern Languages (1967-1970). He went on to gain an M.A. Honours degree in 1974. Zamoyski first visited Poland in the 1960s. He has dual Polish-British nationality and speaks English, Polish, French, Italian and Russian. His parents, Count Stefan Zamoyski (1904-1976) and Princess Elizabeth Czartoryska (1905-1989), married in 1929 in Gołuchów, Poland, but left their homeland in 1939 soon after its invasion by Germany and Russia. When the Soviets took power at the end of World War II, they found themselves stranded in the West, eventually settling in London. Zamoyski lives in London with his wife, the painter Emma Sergeant, whom he married in 2001. They also spend some time in their second home near Zamość in south-eastern Poland, the city founded by his forefathers in the 1500s and retaining much of its Renaissance character, designed by the Italian architect, Bernardo Morando. As a landowner in Poland, Zamoyski is active in preserving the natural habitat within an area of great biodiversity. He has planted thousands of trees and restored a number of traditional wooden country cottages there. Zamoyski is a freelance historian and author of over a dozen books, including two major bestsellers, his history of Poland, The Polish Way, and his account of Napoleon's invasion of Russia in 1812. His most recent book, Phantom Terror, The Threat of Revolution and the Repression of Liberty, is a scholarly and provocative study of Europe following the French Revolution and the influences of the Enlightenment. Zamoyski’s books have been translated into more than a dozen languages. His history of Poland has brought knowledge of that country to millions and is deemed the benchmark handbook on the subject for any diplomat, businessman, or cultural tourist travelling there. Zamoyski has lectured in Europe, the USA and Australia, as well as making television and radio appearances. Various debates in which he has taken part are accessible online. His biography of Chopin, Chopin. Prince of the Romantics, was serialised as the 'Book of the Week’ on BBC Radio 4 in 2012. Zamoyski, Adam (1980). Chopin: A Biography. London: Collins. Zamoyski, Adam (1981). The Battle for the Marchlands. A history of the 1920 Polish-Soviet War. Boulder: East European Monographs. Zamoyski, Adam (1982). Paderewski. A Biography. London: Collins. Zamoyski, Adam (1987). The Polish Way: A Thousand-Year History of the Poles and Their Culture. London: John Murray. Zamoyski, Adam (1992). The Last King of Poland. London: Jonathan Cape. Zamoyski, Adam (1995). The Forgotten Few: The Polish Air Force in the Second World War. London: John Murray. Zamoyski, Adam (1999). Holy Madness: Romantics, Patriots and Revolutionaries 1776-1871. London: Weidenfeld & Nicolson. Zamoyski, Adam (2001). Poland: A Traveller's Gazetteer. London: John Murray. Zamoyski, Adam (2001). The Czartoryski Museum. London: Azimuth Editions. Zamoyski, Adam (2004). Moscow 1812: Napoleon's Fatal March on Moscow. New York: HarperCollins. Zamoyski, Adam (2007). Rites of Peace, The fall of Napoleon & the Congress of Vienna. London: HarperCollins. Zamoyski, Adam (2008). Warsaw 1920 - Lenin's Failed Conquest of Europe. London: HarperCollins. Zamoyski, Adam (2009). Poland: A History. London: HarperPress. Zamoyski, Adam (2010). Chopin. Prince of the Romantics. London: HarperCollins. Zamoyski, Adam (2014). Phantom Terror: The Threat of Revolution and the Repression of Liberty 1789-1848. London: William Collins. Most of Zamoyski’s books are available as e-books. Henryk Sienkiewicz, Charcoal Sketches and Other Tales, translated and introduced by Adam Zamoyski, Angel Books, London 1990. The Political Vision of Stanisław Augustus, in Exhibition Catalogue: Treasures of a Polish King, Dulwich Picture Gallery, London, 1992. Działalność Edwarda Raczyńskiego w okresie powojennym, in ‘Działalność dyplomatyczna i polityczna Edwarda Raczyńskiego’, Łódź 1994. Nine entries in the Macmillan Dictionary of Art, London 1996. King Stanisław II Augustus, in Exhibition catalogue: Polens letzter Konig un seine Maler, Neue Pinakothek, Munchen 1995. The Art of the Possible, in ‘Constitution and Reform in Eighteenth-Century Poland. The Constitution of 3 May 1791’, ed. Samuel Fiszman, Indiana University Press, Bloomington 1997. Okres Hotelu Lambert, chapter in 'Muzeum Książąt Czartoryskich’, Kraków, 1998. Poland's Parliamentary Tradition, Wydawnictwa Sejmowe, Warsaw 1997. 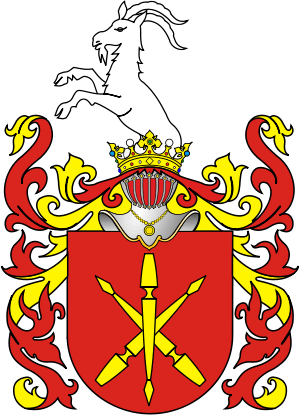 The History of Poland in the 16th–18th centuries, in ‘Land of the Winged Horsemen. Art in Poland 1572–1764’, Jan K. Ostrowski ed., Alexandria, Virginia, 1999. Introduction to: Hieronim Florian Radziwiłł, Rzeczy którymi najgodniejszego mogę zabawić gościa, Twój Styl, Warsaw 1999. Chopin. Duch Romantyzmu in ‘Romantyzm: Malarstwo w Czasach Fryderyka Chopina’, Warsaw 1999. Napoleon Triumphs in Russia, in ‘What Might Have Been’, ed. by Andrew Roberts, London 2004. Het Europese tekort, in ‘Nexus’ Tilburg 2004. Moje przygody z Markiem Rostworowskim, in ‘Ad Leones’, Pamięci Marka Rostworowskiego w dziesiątą rocznicę śmierci, Kraków 2006. Het Zwijgen opgelegd, in ‘Europees humanisme in fragmenten’, Nexus Instituut, Tilburg 2008. Krakow, Renaissaince City of the North, in 'The Great Cities in History', ed. John Julius Norwich, Thames & Hudson, London, 2009. Een bolwerk van belegerd humanisme, in ‘Nexus’, Tilburg 2012. Zamoyski has contributed articles, essays and book reviews for various newspapers and periodicals, including The Times, The Times Literary Supplement, The Daily Telegraph, The Sunday Telegraph, The Independent, The Guardian, The Daily Mail, The Sunday Times, The Evening Standard, The European, The Catholic Herald, The Art Newspaper, The Australian, The Spectator, The Literary Review, History Today, Books & Bookmen, Encounter, Tatler, Departures, Country Life, Event, Apollo, Harpers & Queen, and Turquoise, as well as foreign language publications such as Libération (French), Wiadomości, Tydzień Polski, Dziennik Polski, Rzeczpospolita, Newsweek (Polish). Adam Zamoyski has been a member of the Board of the Polish Library in London (1972-1986), as well as being an active supporter of London’s Polish Institute and Sikorski Museum, and also the Chopin Society. In addition, he is a devoted advocate of the work carried out by the Association Historique et Littéraire Polonaise in Paris, France. Since 1977 he has been a Trustee of the Stefan Zamoyski Educational Fund and its Chairman from 1977 to 2001. In 1977, on the occasion of HM The Queen’s Jubilee, Zamoyski was co-organiser of the Holy Mass and Te Deum celebrated at Westminster Cathedral by representatives of the enslaved nations of Central Europe. Since 1982 he has been a Trustee of the Działyńska Trust in London. From 1983 to 1989 Zamoyski was a Patron of the Jagiellonian Trust. In 1986 he was a founding member of the Research and Development Committee of the Institute for Polish-Jewish Studies in Oxford. Since 1989 Zamoyski has been a Member of the Council of the Polska Macierz Szkolna Zagranicą (Polish Educational Society Abroad). Since 1991 he has been a Member of the Advisory Board of the Page of History Foundation, dedicated to the memory of the vanished Jewish communities in Poland, and its Chairman since 2014. From 1997 to 2009 Zamoyski was a Member of the Board of Management of the Cherub Theatre Company in London. He has been a Patron of the Anglo-Polish Society since 1994. Since 2000 he has also been a Patron of the Levantine Foundation. Since 2007 Zamoyski has been a member of the Editorial Committee for the series Polskie Dokumenty Dyplomatyczne (Polish Diplomatic Documents), published by the Polski Instytut Spraw Międzynarodowych. Since 2012 he has been a member of the Advisory Board of ClientEarth Poland, striving to protect the environment through advocacy, litigation and research. He has been instrumental in the recovery and repatriation of a number of art treasures looted from Polish museums by the Nazis during the war. As a member of the Polish Association of the Sovereign Military and Hospitaller Order of Malta since 1977 and its first post-war Hospitaller (1981), Zamoyski organised and led 21 pilgrimages for handicapped people to Lourdes. He also organised international summer camps for young handicapped in Poland. In the period 1980-85 Zamoyski formed the Committee for Aid and Relief to Hospitals in Poland, collecting funds and medical supplies in Britain and delivering them to hard-pressed hospitals in Poland. In 1991 Zamoyski established the Foundation of St John of Jerusalem (Fundacja św Jana Jerozolimskiego) in Warsaw, the first charitable organ of the Order of Malta in Poland. The organisation helps the handicapped and the poor. He was also a member of the Board of Management at the Kolbe House Residential Care Home for the Elderly in London from 1986 to 2010.